i watched "2 days in paris" again tonight - this time with mom. i forgot how much i love this movie. its genuine, sharp, funny, hilariously realistic, tender, heartbreaking and redeeming all at once. this quote below is my favorite part. it is how the movie ends. 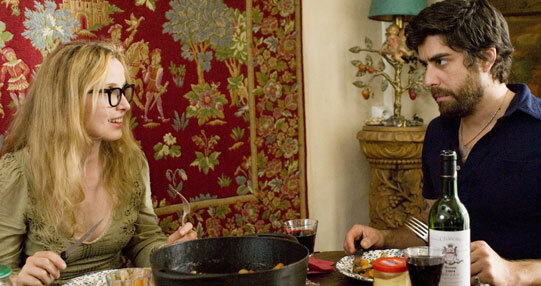 marion, the girl main character, narrates the following overtop an argument you see happening between the couple, played by julie delpy and adam goldberg. *spoiler* hint: they make up at the end of the movie and stay together as you can probably tell from the end of the quote below. warning: now this movie is rated 'R' and for good reason - there is dialogue and language throughout - so if you are squeemish, you may not want to give this one a try. otherwise, i highly recommend it.